The Doobie Brothers will open for the Eagles as part of "The Classic Northwest" tour at Safeco Field in September. 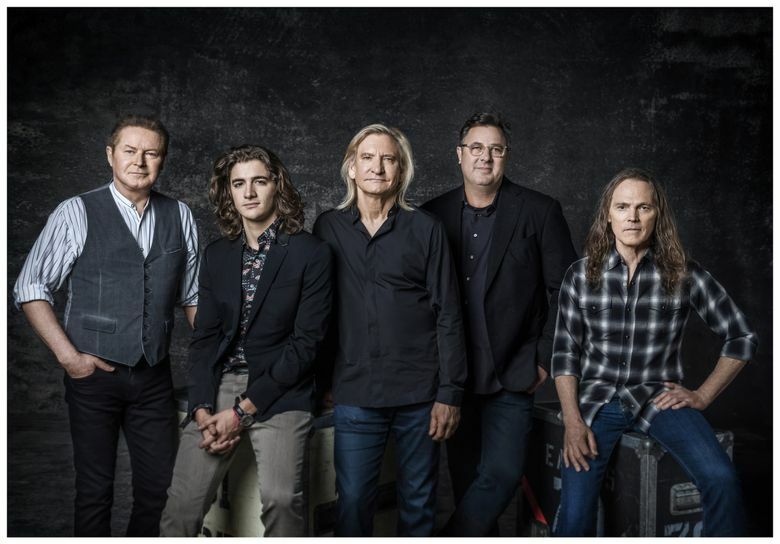 Two titans of baby-boomer rock, the Eagles and the Doobie Brothers, have paired up to bring “The Classic Northwest” tour to Seattle’s Safeco Field on Sept. 30. With five No. 1 singles, six Grammy awards and six No. 1 albums, the Eagles are one of the world’s best-selling bands of all time. Henley, Frey and Walsh also enjoyed success as solo performers. The Doobie Brothers, which scored hit singles in the 1970s with “Black Water” and “What A Fool Believes,” will open the show. Tickets will go on sale at 10 a.m. on Saturday, Aug. 5 via Ticketmaster.com.